While Co-op promotions are not the biggest in volume terms, they are regularly refreshed and usually contain several impressive wines being offered at great value prices. I have selected three from the current list that I consider worthy of mention although the promotion on one of them ended before I was able to tell you about it. Also featured today is a tip about where to buy wine and the usual Best of the Rest option together with the last call for the current Waitrose promotion. Use the pictures next to the description of a wine to help you find it quickly on a crowded display. While the rounded cherry fruit chianti contains is widely admired, the chewy tannins that sometimes accompany it do not always have so many friends. Here though is a significantly lighter version than usual that nevertheless retains very healthy fruit components. 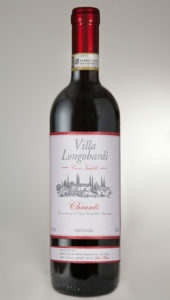 Note in particular, the balance that 2017 Villa Longobardi Chianti (£7.75 – instead of £8.75 until 23 April at the Co-op and 12.5% abv) maintains between aromatic cherry and raspberry fruit and medium bodied but savoury edged clove and thyme touches but then wraps it all with good acidity but mild tannin. As regular MidWeekers will know, the “Magic Bullet” choice (like its equivalent in the medical profession – effective solutions without side effects) is especially noteworthy because it tastes good without the disadvantage of costing a lot. Anyone seeking something with a sturdier body than that chianti should tune into this red from Priorat – a Catalonia region famed for its black slate terroir but (because yields there are low) regrettably substantial price labels. This version, however, is less expensive than many and – not in any way connected – uses carignan rather than the customary grenache (carinena and garnacha in Spanish). In 2016 Cop De Ma Priorat (£11 – instead of £13 until 14 May and 14%) the result is red wine with substantial texture, firm tannin and good acidity to underpin its attractive clove, aniseed and graphite influenced plum and blackberry fruit. While never a potential prize winner for complexity, this Argentinian pinot grigio does have significantly more acidity than many current versions – possibly from the trebbiano (ugni blanc) in the blend. Its £2 discount has finished now but, even at the list price, it does offer pretty fair value for money. 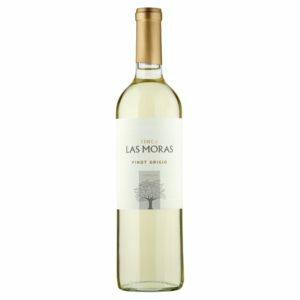 2018 Las Moras Pinot Grigio Trebbiano (£7.25 at the Co-op and13%) has tangerine and lime based zingyness that substantially enlivens its melon and green apple fruit and the gentle hints of spice that accompany it. Among the great value “born again” Italian whites (fiano, falinghina etc) always look out for pecorino from, especially, Marches and Abruzzo – where it was almost completely superseded by the (higher yielding) verdicchio but has now fought back well. 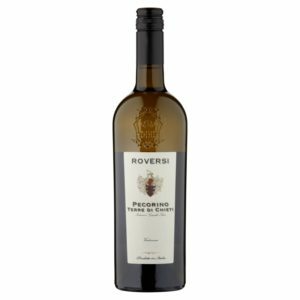 That recovery is fully justified, to judge by 2018 Roversi Pecorino Terre di Chieti (£5.25 – instead of £6.50 until 24 April – at Asda and 12%) where pear, apple and ripe melon flavours merge delightfully with savoury spices and a textured sweet edge yet is still underpinned by lively acidity. Argentina’s La Rioja wine region lies between Mendoza and the more northerly, high vineyards of Salta and is best known for its white wines – especially torrontes – but here brings us an organic malbec. Dense and very long 2018 MV Reserve Organic Malbec (£6 – instead of £7.50 until 30 April at Morrisons and 13.5%) has mulberry and prune fruit with limited tannin but lively acidity and a rich undercurrent of liquorice, chocolate and sage. This is our focus on price reductions that are about to finish and today features the Waitrose promotion that ends on 9 April. Here are a few from the original list of discounted wines that I have enjoyed – but do remember that these offers are “only while stocks last” and some may not be available. Tip: Standby to be a bit more flexible about where you buy your wine. At a time when trade with Europe is riddled with uncertainties, it is encouraging to see at least one wine retailer determined to continue business as usual. 8 Wines is an operation based on mainland Europe that sources its wines from all over the world and exports them to a number of countries including the UK. Indeed, the company tell me that UK customers represent a large slice of their business, with many of those customers buying substantial quantities of wine from them. Current shipping costs do not seem excessive and delivery proved to be pretty prompt – despite coming all the way from places like the Czech Republic. Their list is substantial and the company are particularly proud of the Eastern European wines that they sell. Here are two reds from their list that I especially enjoyed. I start, predictably, in Croatia with 2013 Korlat Cabernet Sauvignon (£13.92 – including tax but not delivery – and 13%) from Dalmatia which has soft and smoky blackcurrant and raspberry fruit with good acidity and limited tannin as well as touches of mint, baking spice and nuttiness. 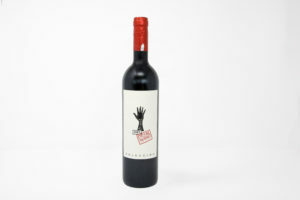 Despite being a mature wine, decanting is recommended for this substantial and textured cabernet. Next comes a rather younger but acclaimed Spanish blend of that country’s usual suspects but with a dash or three of merlot too. With news that Majestic plan to close some stores, we may need to be more imaginative about where we buy wine and sourcing it direct from Europe may be one option – depending of course on what happens on the political scene.